I had a brilliant photo of a Blackhawk giving us a flyby on the truck. Sadly I forgot to save it. Mind you, MSP has the finest driver that rubs the Foxhound just the right way to make it float. MSP founds out about the new AA trench. Got a Cubot Cheetah, brilliant phone with the same power as a Samsung. Can't complain, the cam is'int the best but it's nice. Member name: Coolbizzle Application to: 16 Air Assault Brigade PERSONAL DETAILS: [table] Real nameDate of birthLocationNationality Ben Crowley10, August, 1999GermanyIreland - Irish[/table] CONFIRM THAT YOU AGREE TO THE FOLLOWING JOINING REQUIREMENTS: I own Arma3 and its expansion Arma 3 Apex I own a Microphone I am 18 years of age or older I can meet the 16AA's requirement about no dual clanning I can attend a 3-hour operation every Wednesday and Sunday from 1900 Zulu (in summer) / 2000 Zulu (in winter) I will respond to posts on the forums in a timely fashion I will let the group know when I cannot make scheduled events and post LOAs in a timely fashion I wish to be a contributing and valuable member of this group GAMING AND EXPERIENCE: GAMING AND REAL LIFE EXPERIENCE: In alot of games I'm the Medic or Tank. I'm trying to be the guy, if someone screws up, I can correct their mistake and bring them back where it is supposed to be. This also reflects my real life agenda. I'm working as a Medical "Intern" (Is more like Work-Expierence) and plan on carrying out some kind of Medical degree in the future. In regard to RP, I have many characters on different games from Mid-RP to very Strict High-RP where nothing could happen for the whole round. I also play DnD which helps. My Hobbys are American Football, where I play as a Defensive Nose for my Local Team, it's my second Family and I could talk to any of them for advice if I wished. I have about 300 hours of Arma gameplay in total, that's Arma II and III combined. PREVIOUS GROUPS: As with the recent influx of Apps you might be getting, I was with the CMCR group, playing as their only Medic with a limited Medical System, so very Stressful. If not that, I was a back-up Pilot but because of my Rank, I was never able to fly. And mostly because I was the only Medic. REASON FOR APPLYING: After the recent CMCR break-up, many of the regulars are coming here and I was invited to join aswell. I loved playing with each and every one of them, and I wish not to depart with them so soon. 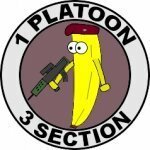 WERE YOU REFERRED TO US: CMCR members recommended me this Milsim group as they are all applying for it aswell.